Hello friends! Hope you are having a great day!! 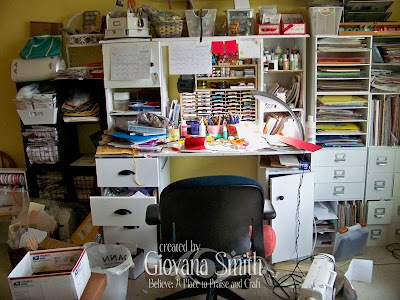 I am trying to catch up with all my deadlines, hopefully I can finish all the things I have written in my (very long) to-do-list, one of them is to clean up my craft area!! Oh goodness, it's a big mess. I have a very CAS and cute card to share with you today!! This card is 3.5" square. I love tiny cards. I used Seasonal Wreaths Stamps and dies from Sweet 'n Sassy Stamps. 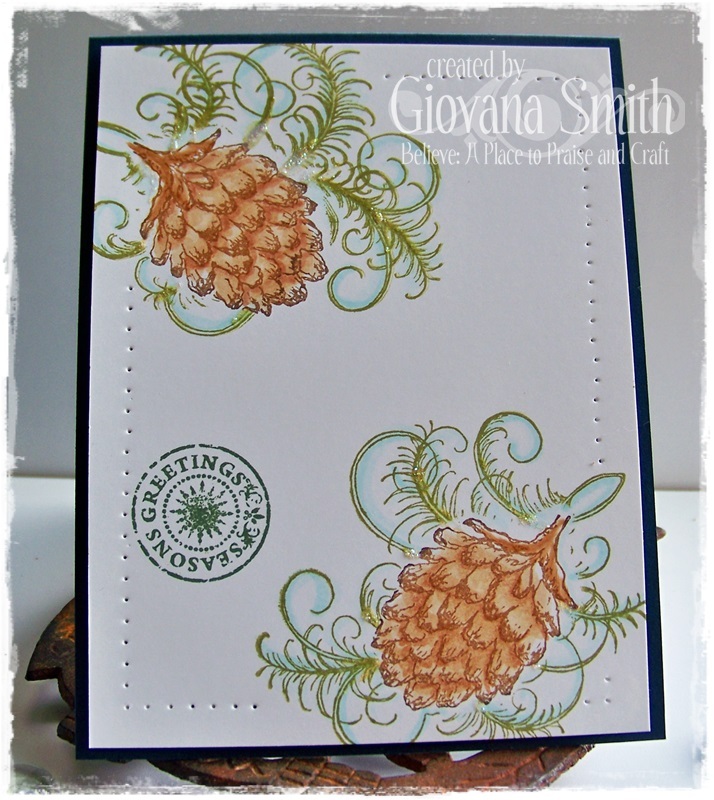 The sentiment was stamped in Golden Glitz Delicata, my favorite gold ink now!! Hello friends!! It's time for another Heartfelt Creations project. Today I have another Christmas card, very elegant and easy to make. Make card base from Burgundy cardstock. A2 size. Cut a panel from Frosty Blanket Paper Collection (3.75" x 5") and a strip (1.25" x 5"). Distress all edges and adhere them to card front. Stamp Poinsettia flower on White Cardstock in Memento Luxe Wedding Dress, add clear embossing powder and heat set. Sponge all flowers with Memento Luxe Angel Pink ink. Die-cut them with coordinated dies. Ink all petal edges with Walnut Stain ink, mount flower. 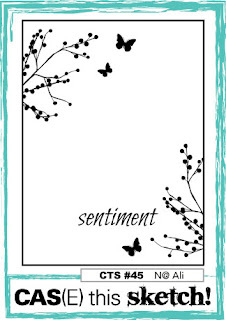 Stamp Leaf swirls and spray on White Cardstock in Memento Tuxedo Black. Sponge all images with Peeled Paint Distress Ink. Die cut them with coordinated dies. 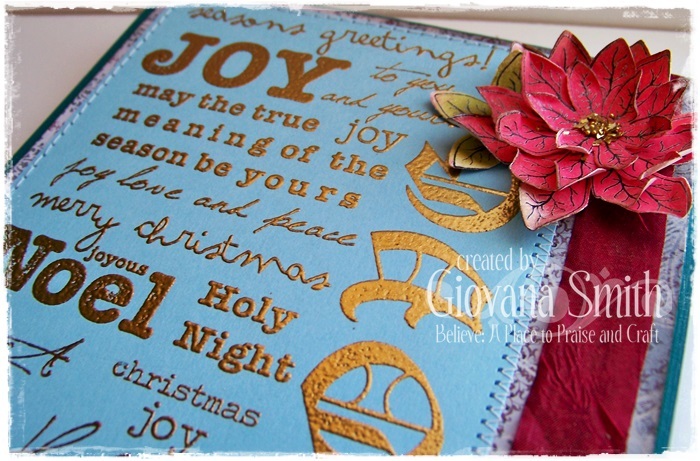 From Background stamp, using a Versamark pen cover the word Joy, stamp it on Patterned Paper, add Gold embossing powder and heat set. 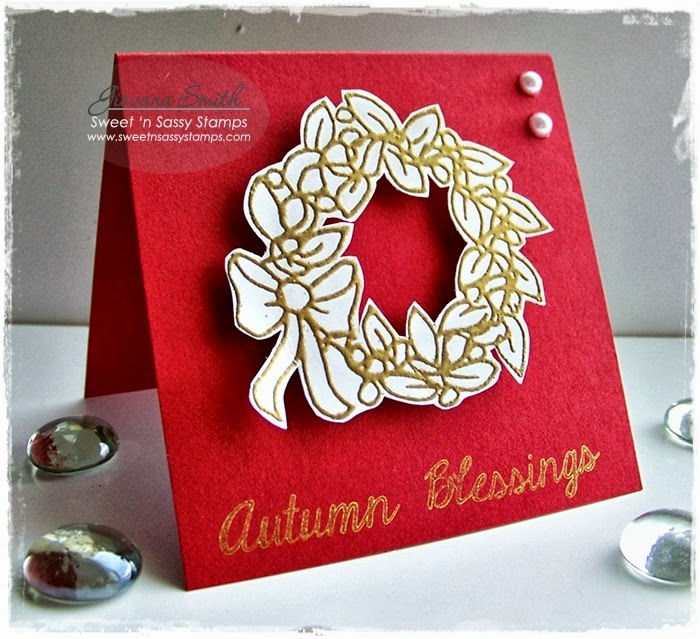 Add leaves and poinsettia flower to card front. Hello friends!! Hope you all great having a great Monday! I am a little sniffle-y, honestly I don't know why, I was just fine and then I started feeling sick, I hope I am not getting a cold or anything from that matter. 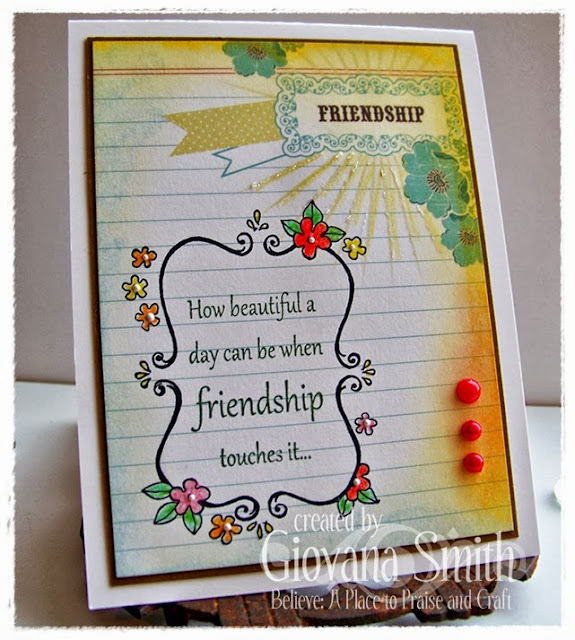 Today I have a very CAS card for you using Great Impression Stamps. I used Floral Frame and How Beautiful stamps to create this cute card. 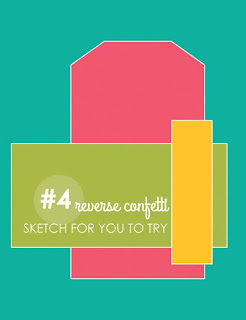 Cut a panel from patterned paper (True Friends from Carta Bella) 3.75" x 5", apply Banana and Acqua Dolce Gelatos to edges and using your fingers spread it around. Stamp frame in Jet Black Archival and sentiment in Olive Archival Ink. Color frame flower with Prisma Color Pencils. Add White Liquid Pearls to centers. 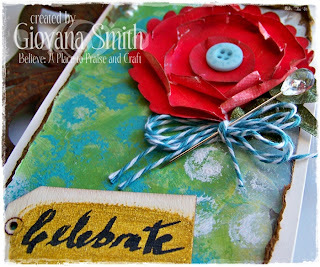 Add red pearls and Star Dust Stickles to rays from Patterned Paper. Mat this piece with a slightly bigger piece of Light Brown cardstock. Hello friends! Hope you are having a fantastic day! 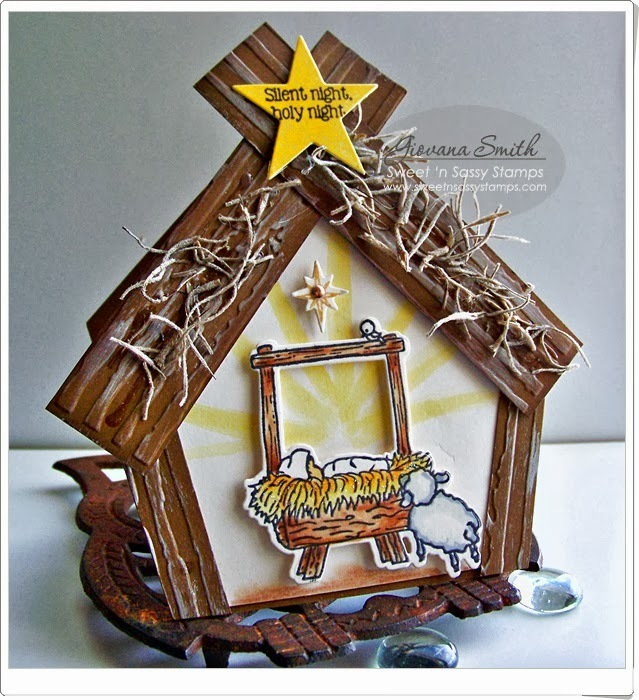 I want to share a card I made for Sweet 'n Sassy Stamps using brand new stamps and dies "Born This Day Stamp Set" and "Manger Die Set". Hope you enjoy it and give it a try! 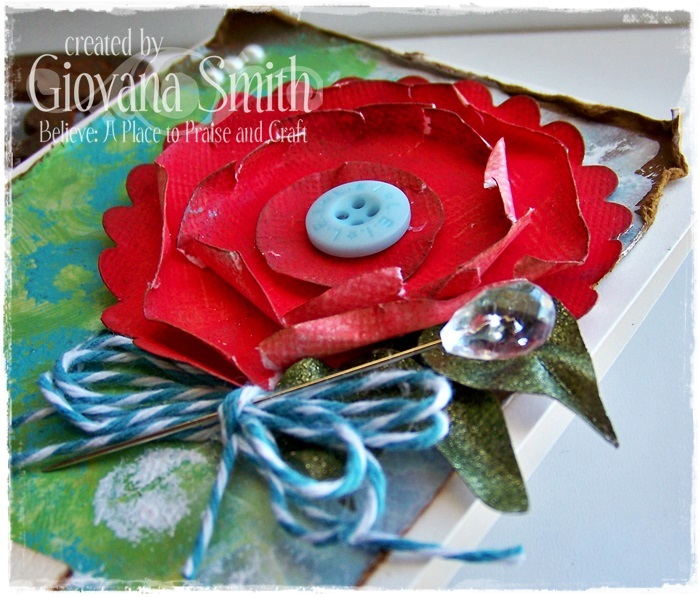 eclectic Paperie (Belated) Birthday Bash Blog Hop!! Let me show you the project I have created for you today. This is a 5.5" x 3.5" card. Cut a panel from Warm Cocoa CS (3.25" x 5.25"). Apply gesso, set to dry. Add a coat of Banana and Acqua Dolce Gelatos (that is the green-ish color on the BG). Then, add Pool and Snow Cap Acrylic paint, set aside to let it dry. Flower: Die-cut (or hand cut) circles and 1 scallop circle, paint pieces with Red Pepper Acrylic paint. Set aside to dry (or use your heat gun to speed the drying process). Ink and distress all edges with Walnut Stain Distress Ink. Mount all pieces together with hot glue, add a blue button. Hand cut leave shapes from Cardstock, paint them with Moss Green Paint. Fold them and add them to flower. Add flower to panel. Create a bow from Ocean Twine and add it to panel, insert a Trinket pin. Add Gold Paint to wooden tag, set aside to dry, then add sentiment. (Here I used my handwriting). Distress all edges of panel and adhere it to card base. I used 1/2" Scor-tape. Now, the big giveaway!!! eclectic Paperie will be giving away the following prizes! You have until midnight tomorrow (9/20) to comment. Hello friends! Hope you all are having a great day/night! 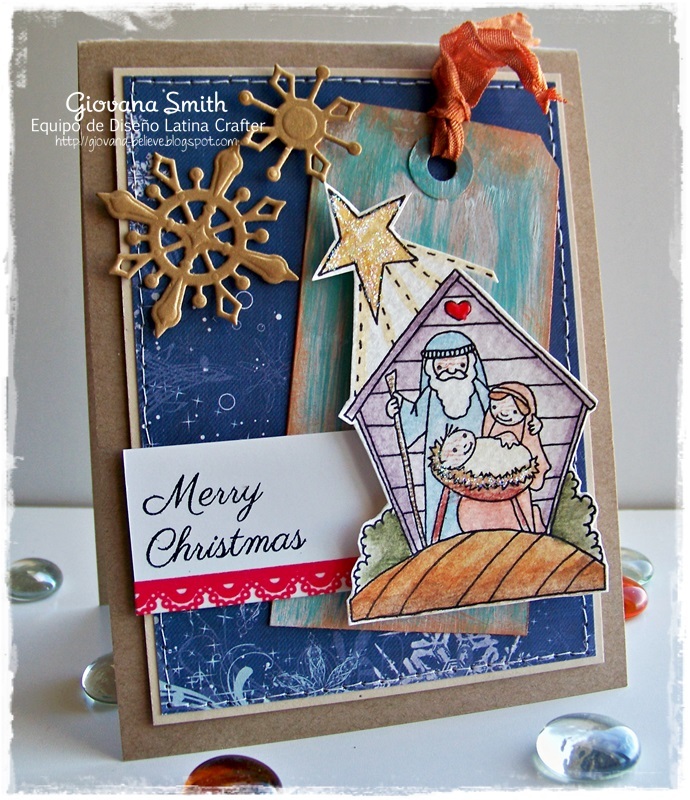 I have a couple of more Christmas cards using stamps just released by Heartfelt Creations. 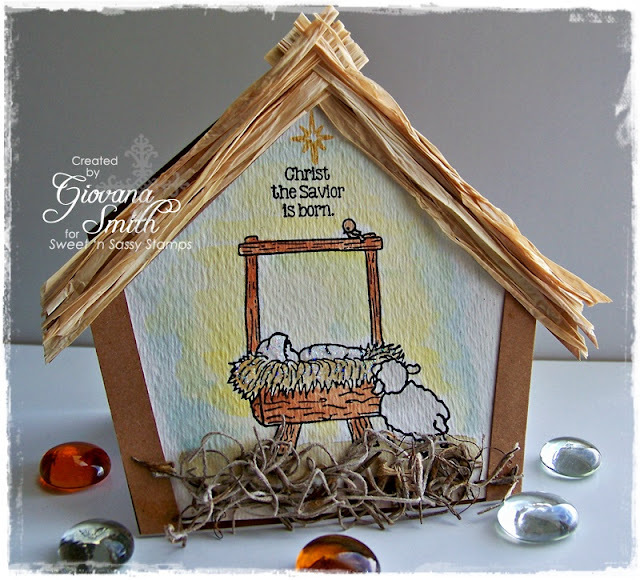 CAS Greeting Seasons: I have to confess I struggle with CAS creations, so I decided to create at least one a week ;) and I choose this sketch from CAS(E) this Sketch. Cut a panel from White Cardstock (4" x 5.25"), stamp swirl in Peeled paint ink and pine cones in Tea Dye and the edges in Walnut Stain Distress Ink. Paper pierced all the open corners. Adhere it to card base with Dimensionals. Ink: Peeled Paint Distress, Tea Dye Distress, Walnut Stain Distress, Olive Archival (Ranger), Light Blue Copic Markers. Accessories: Star Dust Stickles (Ranger), Paper Piercing set, Dimensionals. 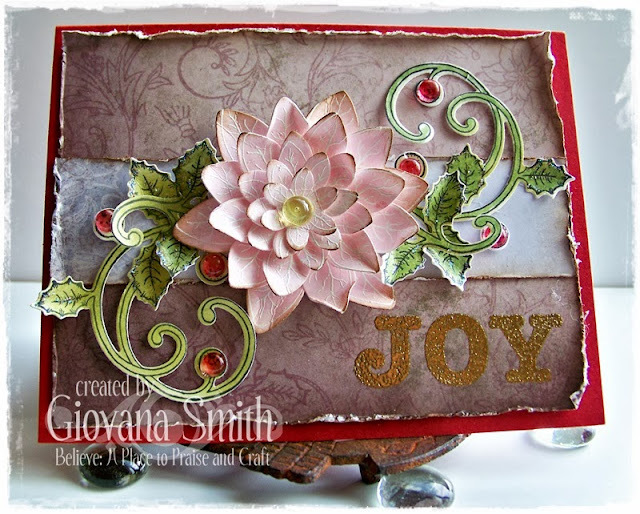 Embossed JOY: I really like how this card turned out. Another [kinda] CAS card too. I am submitting this card to Simon Says "Emboss it" Challenge. Make card base from Red Cardstock, A2 size. Cut a panel from White Cardstock (3.75" x 5"), stamp flourishes in Versamark ink, add gold embossing powder and heat set. 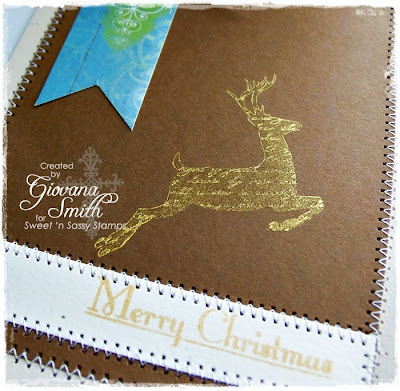 Stamp Joy in pink cardstock in versamark ink, add gold embossing powder and heat set. Die-cut and emboss piece with Oval Nestabilities. 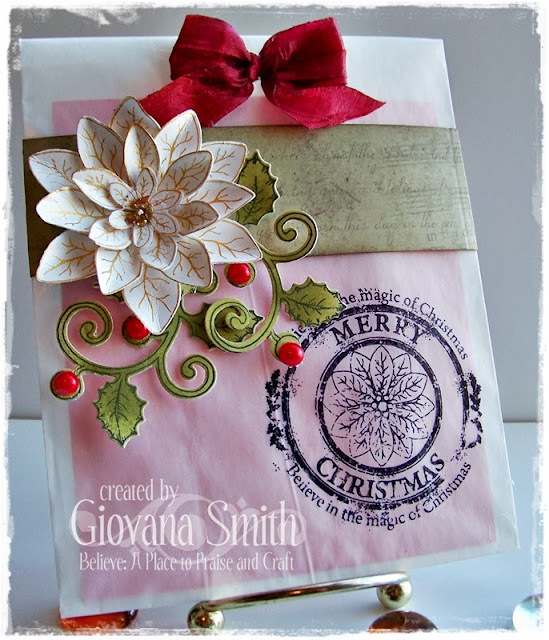 Stamp Christmas Poinsettia on White Cardstock in Golden Glitz Delicata ink, Die-cut flowers with coordinated die. Mount a flower together. Add little leave. Add pieces to card panel. Accessories: Pearl, White Opal Liquid pearls (Ranger), Dimensionals, Gold embossing powder, Embossing heat gun. Hello friends!! Hope you are starting a great week, my to-do list is long and I hope I can do all the things written down in there. 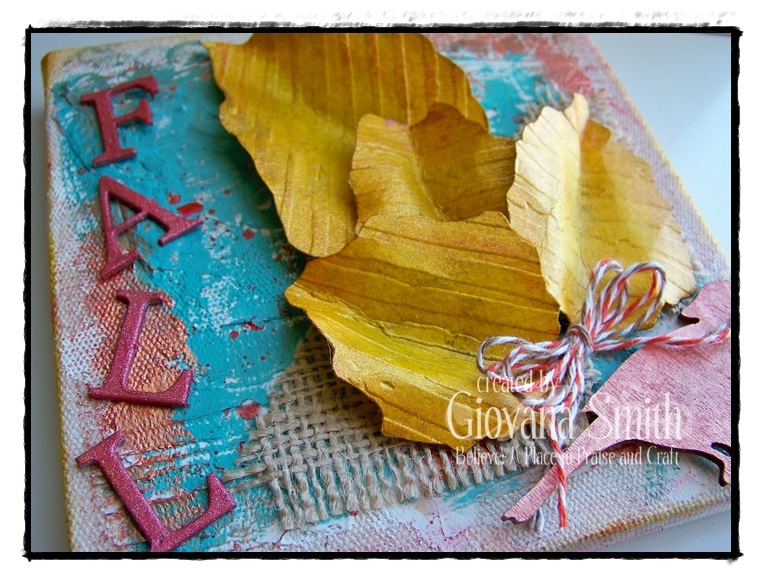 Ok, I have a couple of Fall projects for you today using Great Impressions Stamps. Last week I forgot to post my project here on my blog, I am so sorry about that, so here it is using Fall Garden image and the sentiment is part of Sweet Sentiments trio. The image was colored with Copics. 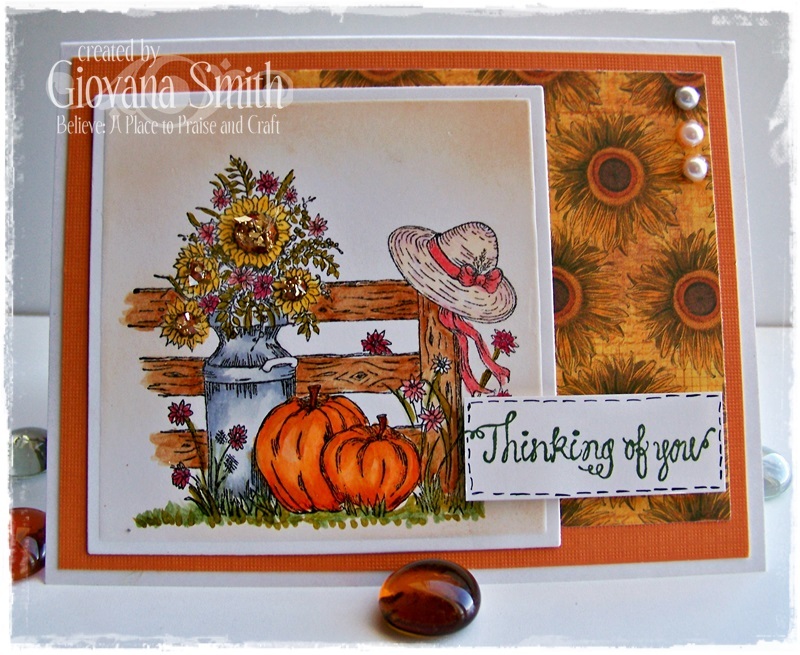 Today's project is another Fall card using Pumpkin Patch Patty. I think this image is super duper cute!! Hello friends! Are you having a great Saturday? I hope you do! 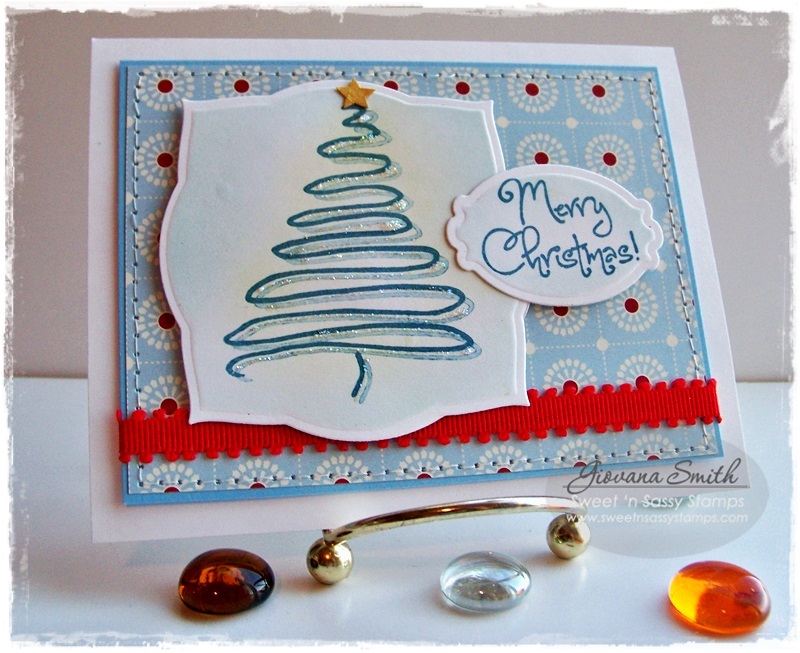 Today I have a couple of cards I made for Latina Crafter few days ago, but couldn't post on my blog until now. I made another cute Christmas card using the Nativity set and Reverse Confetti Sketch. 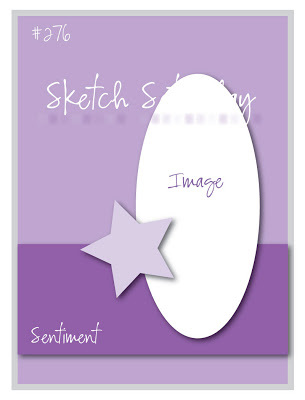 My second card is super clean and simple with an embossed background and a heat embossed image in gold. 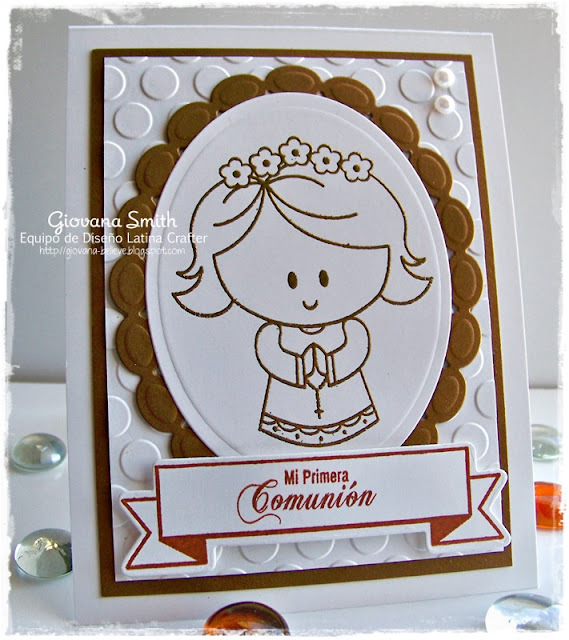 For this card I used "Lily en su Primera Comunión" (Lily in her First Communion). 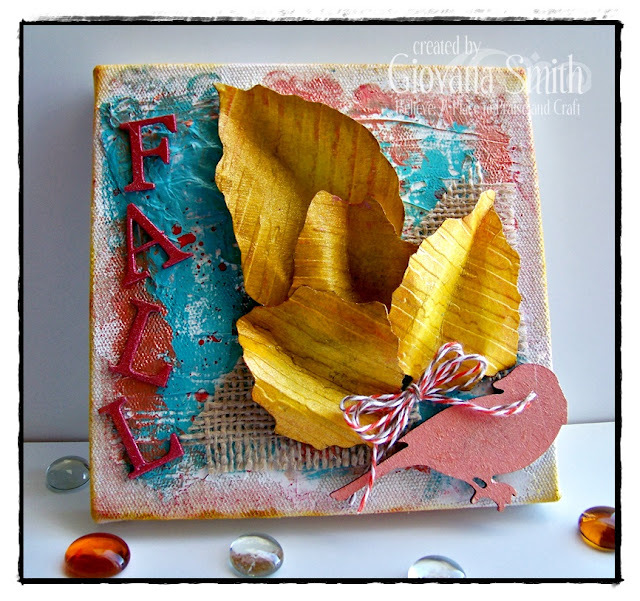 This card fits perfectly the Simon Says Stamp Challenge "Emboss it"
Welcome to the Fall Splendor Blog Hop with PaperHaus! We are celebrating the release of the new FALL edition of PaperHaus Magazine but also celebrating the 1 year anniversary of PaperHaus Magazine! We are excited to be part of this amazing celebration! Click below to check out the latest edition of this amazing magazine! The Fall Splendor event is filled with inspiration from PaperHaus and the eclectic Paperie team so make sure you click through each blog for inspiration! Enjoy the hop and remember that the Fall Splendor Blog Hop runs from September 1st to the 15th so plenty of time to be inspired! This is the project I have for you!! First, I want to say I am super excited to be part of the eclectic Paperie DT!! Yay! Ok, for this project I used a Natural canvas, added gesso and covered most of the top. I set aside to let it dry. Next, I worked on my leaves. I took some real big leaves and traced them on Watercolor paper, then cut them out, after that I dry embossed ﻿them. Covered them with Banana Gelato and water sprayed. I used my heat gun to dry the leaves, after that I painted them with Gold Viva Decor Paint (it dries super fast), then I inked all edges with Brushed Corduroy and Walnut Stain Distress inks, bended he leaves to give them a more natural real look. After my canvas dried, I added modeling paste, dry it with heat gun, added Pool Acrylic Paint using a paint brush, then splattered Red pepper Acrylic paint. After the canvas got dried, I sponged all the edges of it with Metallic Copper Acrylic paint and Gold Paint. I painted a Vintage wood bird and letters with same metallic paint color. Then added a piece of burlap, and added all the piece to canvas. 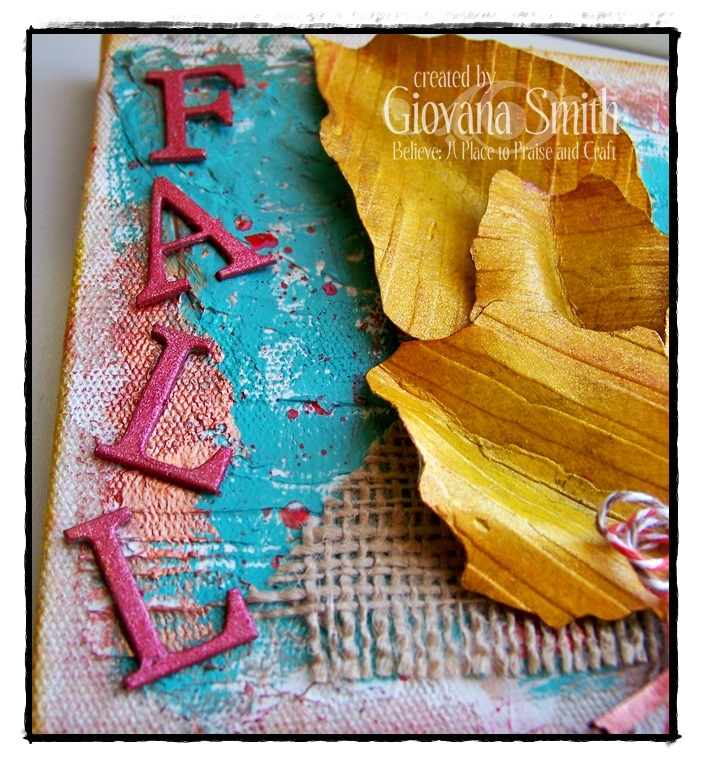 I invite to stop by the eclectic Paperie Blog and enjoy all the other projects made by the DT! They are fantastic!! Today we're featuring Diane's adorable new Snowman Soup stamp set. I have 2 cards using this cute set. This first card is 5.5" square. The image was stamped on White Cardstock in Memento Luxe Tuxedo Black, colored with Copic markers. 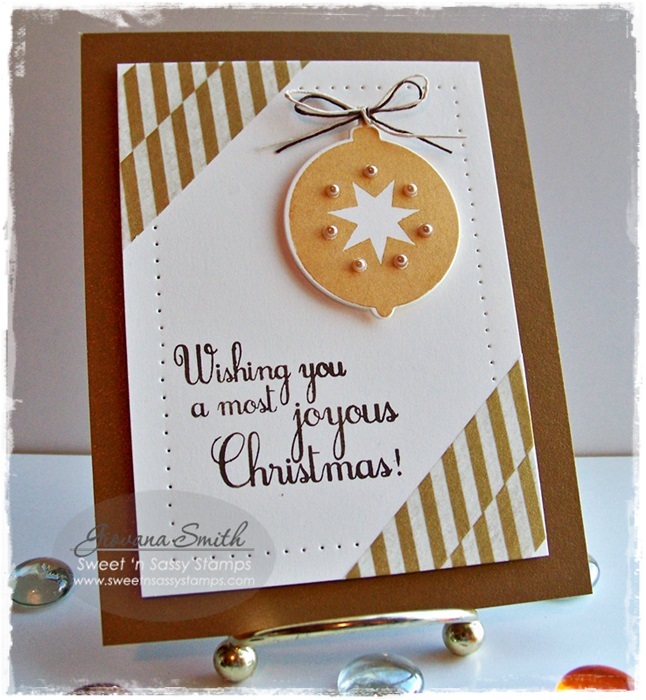 Die-cut, embossed and stenciled it with Circle Nestabilities. The sentiment was stamped on a stitched label from this die set. 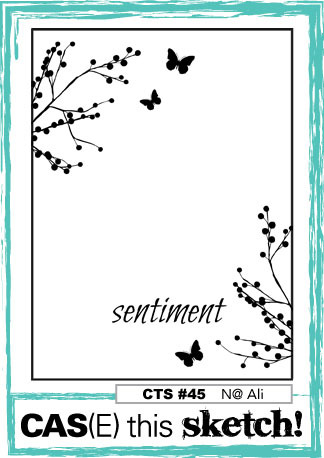 The patterned papers are retired ones from Stampin' Up and K&Co. Of course, I had to add stitches ;) and red pearls. This second card is so cute!! I stamped the image 3 times, colored them with Copic markers and added the steam hearts, lovely!! 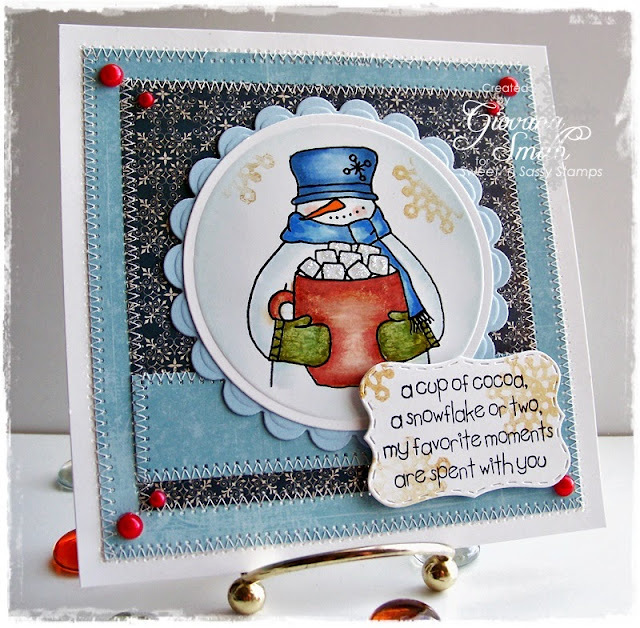 I used the scallop die, added the border image and added stitches. Stamped the sentiment in Coffee Archival, finally added twine and a button. Welcome to day 5 of our September feature Blog Hops! Today we're featuring Korin's beautiful new Christmas Silhouettes stamp set and coordinating dies. I have 2 cards using this pretty set. For this card I created the BG stamping the holly berries on White Cardstock in Memento Luxe Wedding Dress, then added Clear embossing powder and heat set, after that I applied Gold Gelatos and sponged it all around. 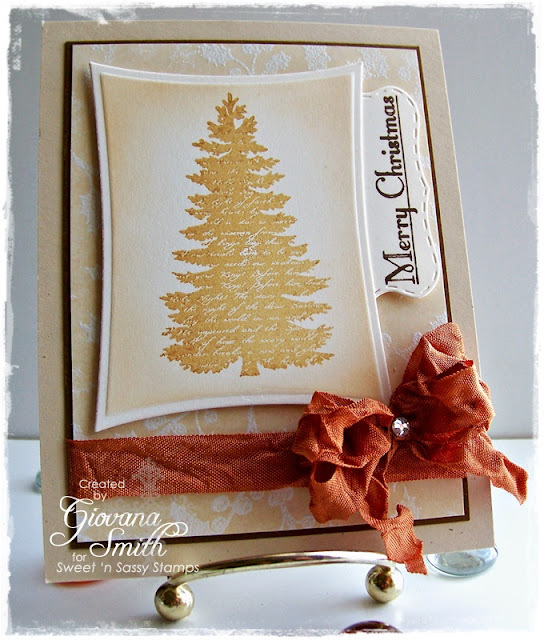 The tree image was stamped on Ivory cardstock in Golden Delicata Ink, then die-cut, embossed and stenciled it. The sentiment was stamped on a stitched label in Coffee Archival Ink. I added ribbon and a clear rhinestone. For this second card, I stamped the image on brown cardstock in Golden Delicata Ink. 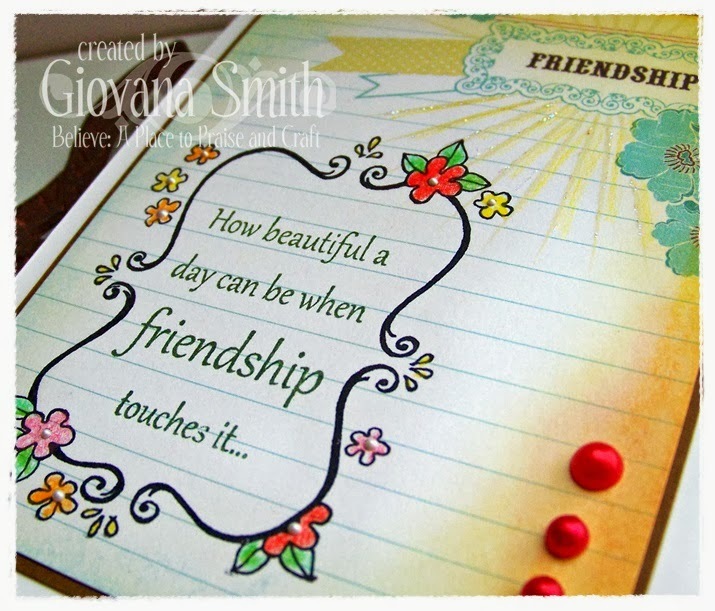 The sentiment was stamped in same color on Ivory Cardstock. I created a baner from Patterned Paper, added a button and jute twine and zig-zag stitches. Heartfelt Creations "Season of Joy Collection"
The Season of Joy Collection has been put together so you can create your most elegant Christmas cards, layouts and 3D projects. 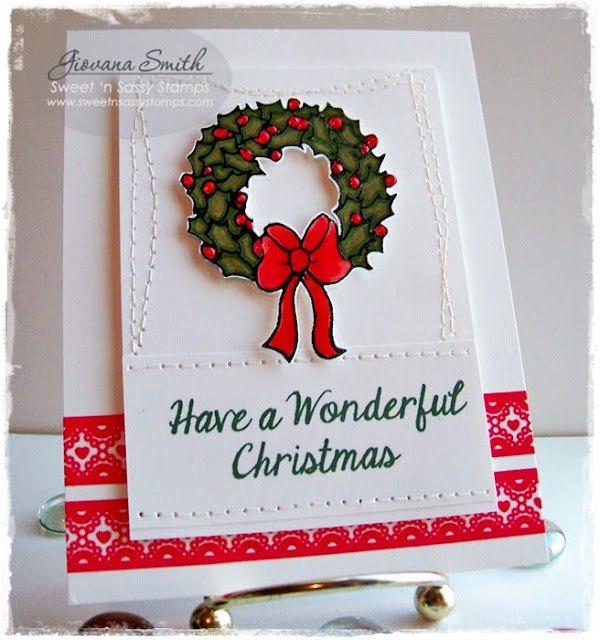 Create gorgeous typography backgrounds in your favorite Christmas hues. The hand-drawn, detailed stamps provide new excitement to every Christmas project you'll create as the snow flies and the hot cocoa simmers on the stove. Feel your heart ignite with passion and excitement as you delight yourself with the Frosty Blanket Paper Collection. Match the ornate poinsetta stamp with the cutting-edge Sun Kissed Fleur die and you'll save time while creating your Christmas projects. And for 4 weeks only, gift yourself with the whole collection and save $20 off the regular price! With this set you can create the most elegant, delicate creations your friends and family have seen. Being a smile to your loved ones' faces. I have two projects showcasing some of the stamps from this collection. 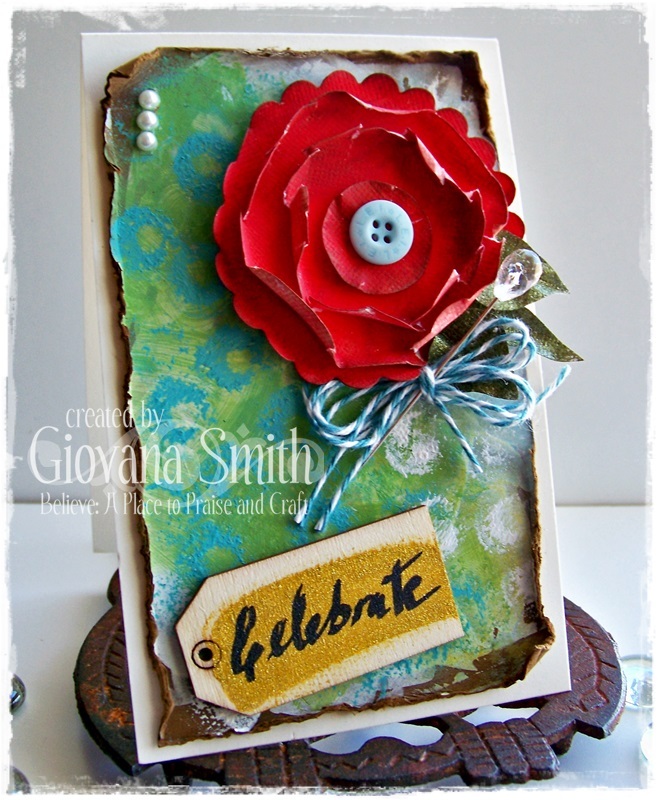 Create card base from Textured Blue Calypso Cardstock. 6" square card. Stamp Holiday Script BG on Gumball CS in Versamark ink, add gold embossing powder and heat set. Trim piece and adhere it to a piece of Frosty Blanket Paper, add straight and zig-zag stitches. Add ribbon. Stamp Christmas Poinsettia on White Cardstock in Memento Luxe Tuxedo Black, add clear embossing powder and heat set. Color images with Distress Inks, then die-cut flowers with coordinate die. Assembly flowers together, pinch petals with your fingers. Add Gold Gala Glitz in center of flower. 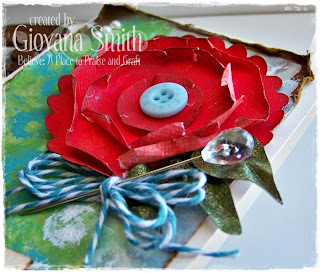 Add flower to card. Accessories: Burgundy Ribbon (May Arts), Gold embossing powder, Heat embossing gun, Sewing machine. Stamp Christmas sentiment on Glassine bag in Jet Black Archival Ink, set aside to dry completely. Stamp poinsettia flower on White Cardstock in Golden Delicata Ink. Die-cut with coordinated dies. Create poinsettia flower, add Crystal Lacquer in center and add Gold Gala Glitz. 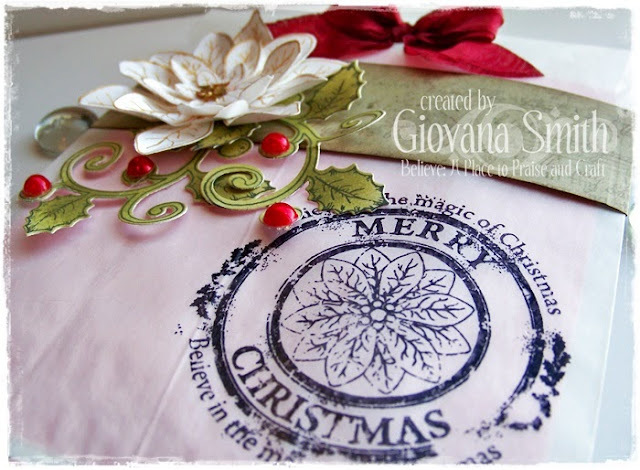 Stamp Holly Berry leaves in Peeled paint Ink, die-cut them with coordinated dies. Cut a piece of Frosty Blanket Paper 1.5" x 12". Ink all edges with Walnut Stain Ink and adhere it around bag. Add Holly berry leaves and Poinsettia. Add Red pearls and bow. Hello friends!! I have exciting news to share with you today. I am part of the fantastic eclectic Paperie Design Team!!! I have known the news for some time and it was so hard to keep the secret until now! I will be sharing some projects with you pretty soon! I got fantastic products from eP store. Ok, I feel so much better now. Welcome to day 4 of our September feature Blog Hops! Today we're featuring Korin's precious new Born This Day stamp set and coordinating dies. This is the card I have for you today. I created a shape card ( I will post the dimensions later) The image was stamped on Watercolor Paper in Jet Black Archival, colored the image with Inktense Pencils. The BG was done with Distress Inks and a water brush. I added raffia to the tops and moss to the bottom. Welcome to day 3 of our September feature Blog Hops! 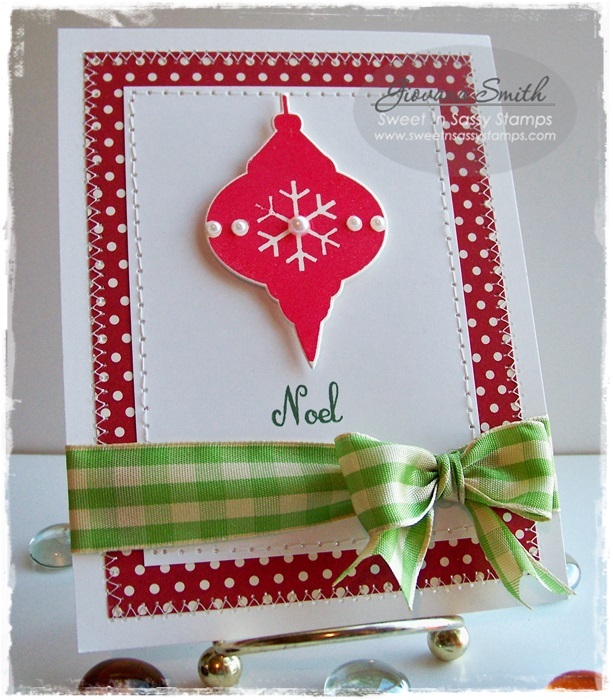 Today we're featuring Korin's fun new Mod Ornaments set which coordinates with our current Ornament Dies. I have 2 projects for you today using this new set. For this card I started cutting a panel from Patterned Paper (3.75" x 5") and a white one from cardstock (3" x 4.25") and adding stitches to all the edges. I die-cut an ornament and stamped the image using Memento Luxe Love Letter, the sentiment was stamped in HA Field Greens Ink. The image was added to White panel with Dimensionals, then added pearls to the ornament. Final touch was adding ribbon and a bow. This card is super easy!! My card base is Metallic Copper Cardstock. I cut a panel from Ivory Cardstock (3.75" x 5"), added Gold Washi Tape to opposite corners, then paper pierced the open areas. The sentiment was stamped in Coffee Archival Ink. Die-cut the ornament and stamped the coordinated image with Gold Delicata Ink, then added Gold pearls and a bow made from hemp. Check out some of the fabulous samples made by our talented DT. Welcome to day 2 of our September feature Blog Hops! 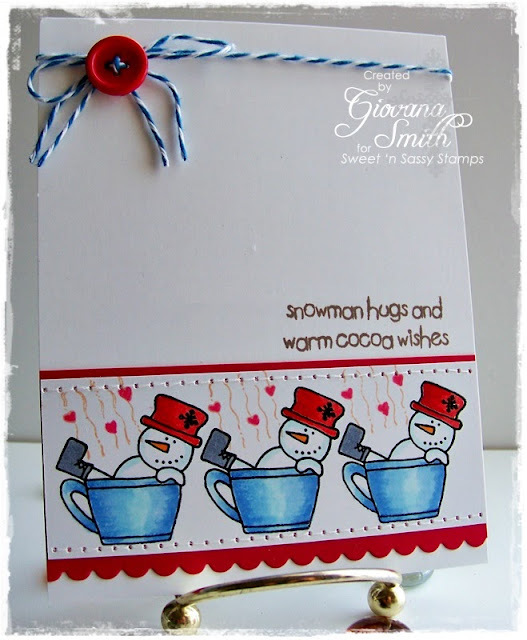 Today we're featuring Korin's sweet new Magic of Christmas stamp set. This is the card I created with this new set. 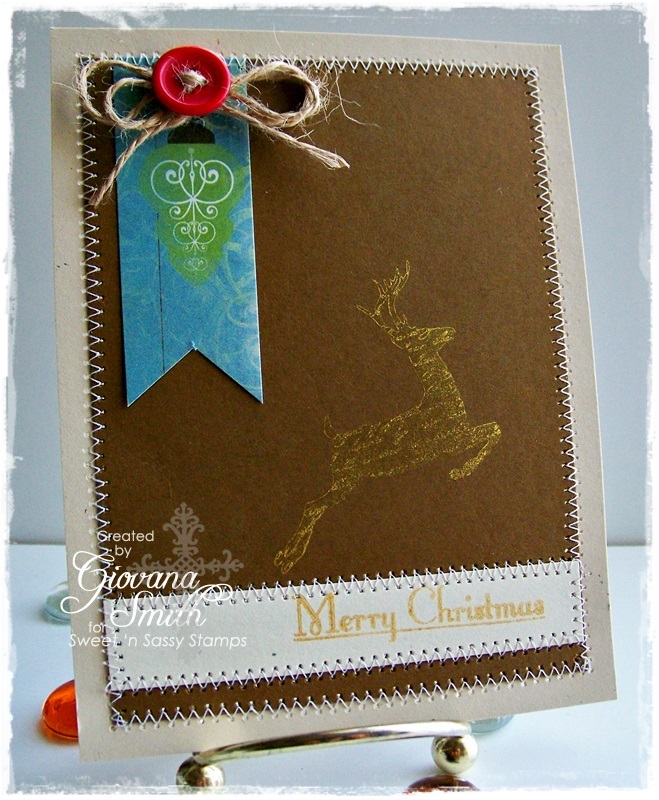 Not the traditional Christmas colors ;) I stamped the image in Memento Luxe Teal Zeal Ink, then I did and offset stamping using the remaining ink from the stamp image (Second generation stamping), then added Star Dust Stickles. The ribbon is from May Arts and the paper is a retired pack from Stampin' Up. Welcome to day 1 of our September feature Blog Hops! 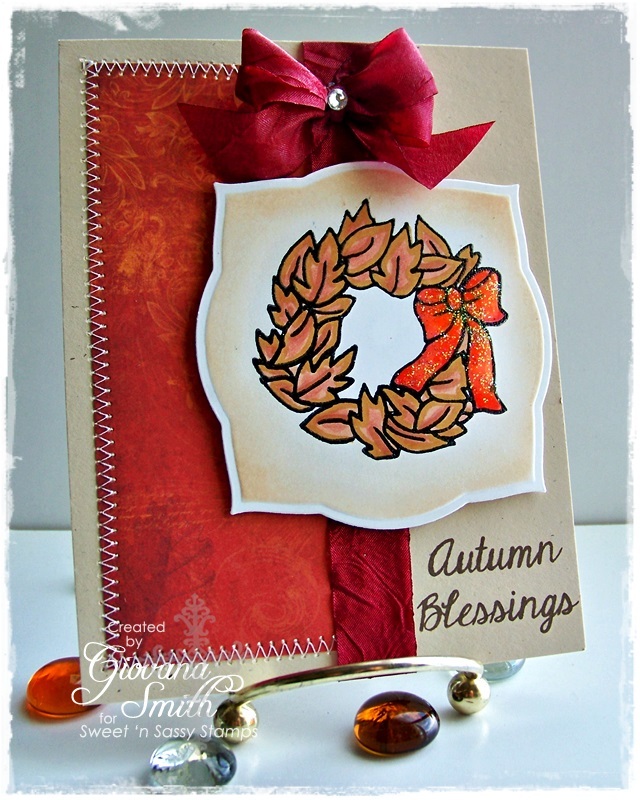 Today we're featuring Korin's new Seasonal Wreaths stamp set and coordinating dies! These are the cards I created using this beautiful set. A Fall/Autumn and a Christmas card. For this card I stamped the image on White Cardstock in Memento Luxe Tuxedo Black, heat set with clear embossing powder, then colored with Copic markers. The bow was covered with Crystal Lacquer and sprinkled glitter. This wreath was stamped in White Cardstock in Memento Luxe Tuxedo Black and heat set with clear embossing powder. Colored with Copic markers. I added Ruby Liquid Pearls to the wreath, stitches and Red Washi Tape. Very Clean and simple card.